If you love being outdoors, you either have a cooler or you need one. This Explainer Series article breaks down the world of portable cold storage, from soft-side units to bear-proof ice chests built like a tank. 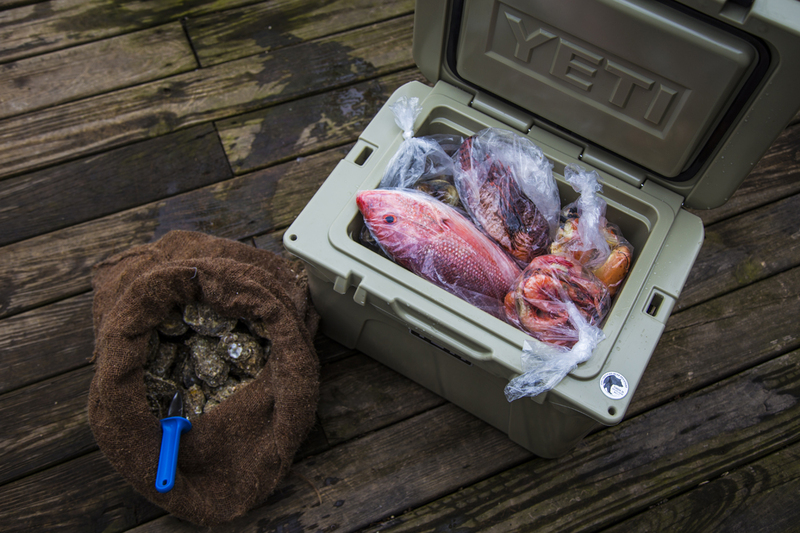 For those new to the world of outdoor cold storage, this article offers a primer on key factors to consider when shopping for the ultimate outdoors cooler, or at least the best one you can afford. There are three common types—basic, soft-side, and heavy-duty. There are a couple others we will skip over, including disposable (styrofoam boxes) and ice-less (read: portable refrigerators). Those don’t really count when figuring out how to store food and drinks at camp; the foam ones are largely illegal in national and state parks now, and they’re a bad idea anyway; and the ice-less units can’t go far from a running car or a generator. Basic coolers are the ones we all grew up seeing at picnics and family outings. They have relatively minimal insulation, and they only sort of seal around the lid (don’t tip them over!). But they carry a negligible price tag at every hardware store and big-box across the country. Soft-side coolers are a little more specialized for weight- and space-conscious consumers but tend to have slightly lesser insulation. 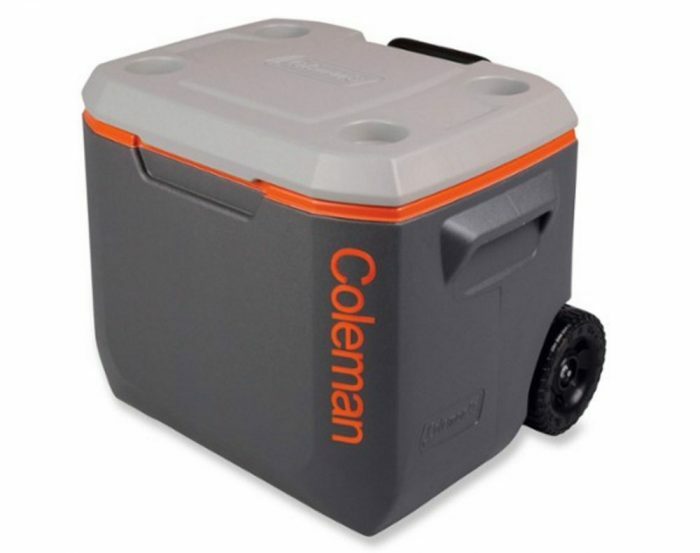 A $30 soft-side cooler will hang just fine with a $20 Coleman hard-side, while a $300 softie (see photo above) can keep up with heavy-duty coolers of almost any type. Heavy-duty coolers are a new category in the last decade. Their thick insulation, locking lids, and tight seals make them ideal for long outings and harsh conditions. But they weigh a lot more than either of their counterparts and cost a lot more, too. How Will You Use The Cooler? If you’re only camping a couple nights each year and hauling sodas to the backyard for your kid’s birthday party in between, there’s no reason to drop hundreds of dollars on a YETI, Grizzly, Engel, OtterBox, or Pelican coolers. 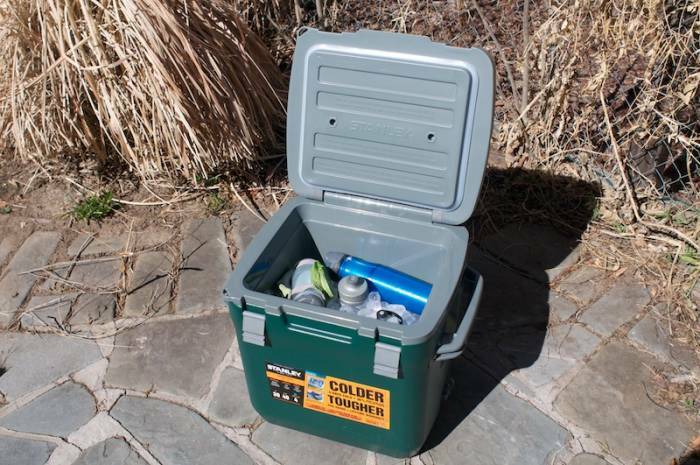 Conversely, the lighter-stock coolers won’t work for long trips in the backcountry where you need ice for days, and they won’t hold up to wildlife visitors like the heavy-duty ones can. If you’re packing in to your campsite and feel that cold drinks by the fire and fresh bacon in the morning are worth the weight, go for a soft-side cooler, but choose one with good straps and handles. In reality, there are a hundred different options. 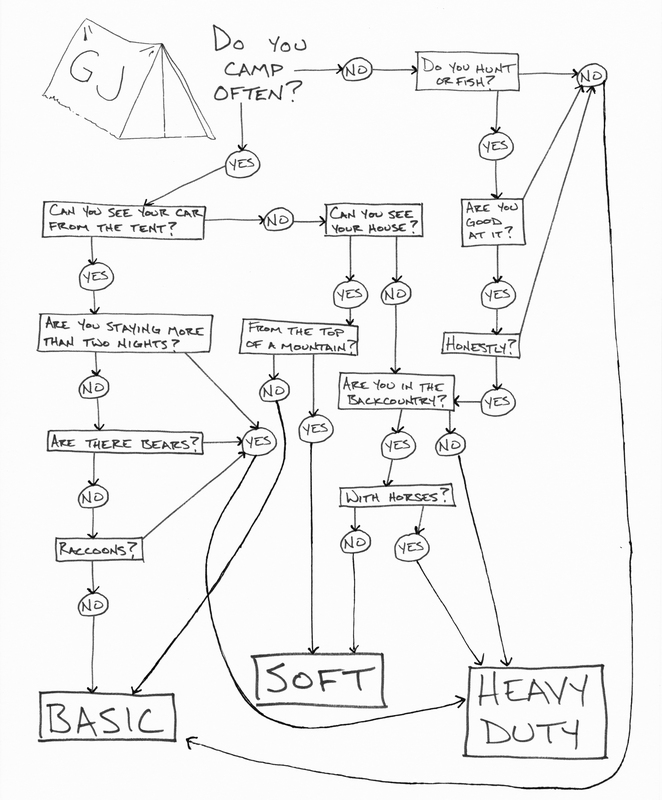 I drew a little chart to help you decide. Obviously, your personal budget plays a big role in which cooler is right for you. Keep in mind the cost difference between the types. Basic coolers range from about $20 – $150 based on size, and you usually get what you pay for. The $60 cooler below will get you through a lot of weekend BBQs, but if you’re loading it with fresh fish that need to stay cool for a couple days in hot weather, I’d be nervous. Soft-side coolers run the gamut, from an $8 insulated lunch sack to a $400 backpack that doubles as a dry bag and floatation device and keeps its contents frosty for a couple days. 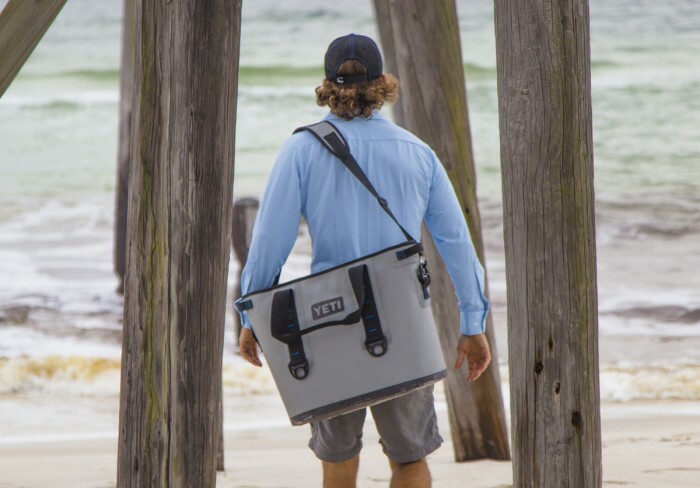 Heavy-duty coolers start at about $50 for one designed to hold a couple cans and an ice cube, up to $1,300 for YETI’s top-line bear cooler (seriously, it’ll hold a whole bear). Don’t forget, though, the initial sticker price isn’t the only financial consideration. Ice costs money, too, and long trips with an under-insulated cooler mean extra ice runs while short trips with a cooler that’s too big means you’re buying more ice than you really need. Plus, heavy-duty coolers are usually top-quality all around and could indeed well outlive their owners. So, if you have the money to pay out once, you should get many years of use from a high-end cooler. There are a few specific features that may matter beyond price, portability, and how long your food stays cold. A basic cooler is just that — basic. It’s a plastic and foam box with a hinged lid and a drain on one end. That’s the foundation. 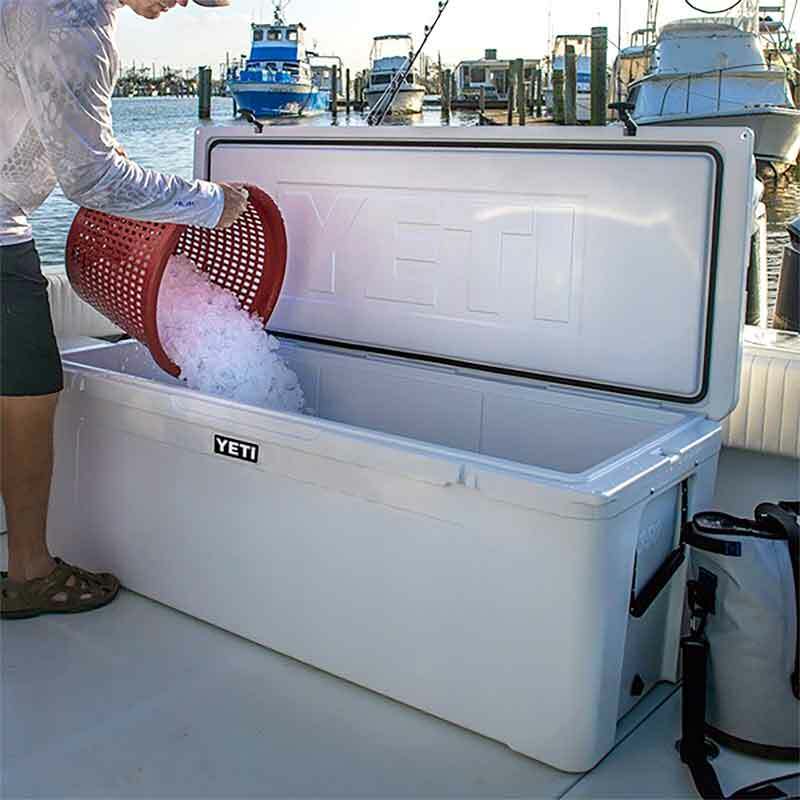 From there, cooler designers have added locking lids, better seals, screw-in drain plugs, non-slip tops (for anglers and short people), thicker insulation, and harder plastic to make the heavy-duty coolers usable in many situations outdoors. Soft-side coolers switch out a box for a bag, using flexible insulation and adding waterproof zippers or roll-tops to seal in the ice melt. I spend most of my days outside and depend on my coolers as long-term food storage, protection from wildlife, both a seat and a ladder, and I don’t mind the burden of extra weight in order to get those features. My go-to cooler (though I have several different types, styles, and brands) is a YETI Tundra 35. It’s just big enough to handle the essentials on a weeklong trip in the backcountry but it’s small enough to carry around full without a second set of hands. I’ve seen a bear try and fail to open one of my YETI coolers before so I’m confident in the security of my bacon regardless of the local fauna. Best Cooler Size For Outdoors? The last major consideration is size. Unless you’re an outfitter, caterer, guide, big-game hunter, or escape artist, you don’t need a 350-quart cooler. Guys, if your wife asks, I will retract that statement and back you up, but don’t put me in that position. Most of you will be camping with family, a few friends, and the random guy from your office who overheard your plans and asked to tag along. You’ll carry dinner in a grocery sack and put drinks in the cooler with some ice and a few things for breakfast. That means (unless you’re an alcoholic or really popular) you’re looking for something in the 20 – 50 quart range. Fishermen will claim you need something bigger but, let’s be honest, you probably only need a little one. The best way to determine the right size is to plan the menu for one of your typical outings, buy the food and drinks, then stack it all neatly and measure the pile. Figure a 2:1 ratio of ice to food for trips longer than two days and switch it for overnighters. Any food that’s going into the cooler frozen can be counted as ice. After years of cooler use and abuse, that’s my input. There are a dozen brands and hundreds of models on the market. Look to brand names, find good deals, or drop the big cash for a heavy-duty tank one time and you’ll be set pretty much forever. Now, get out there and enjoy the portable chill.